Reversion to the mean is a powerful force. As has been well documented by numerous studies, ROIC reverts to the cost of capital over time. This finding is consistent with microeconomic theory, and is evident in all time periods researchers have studied. 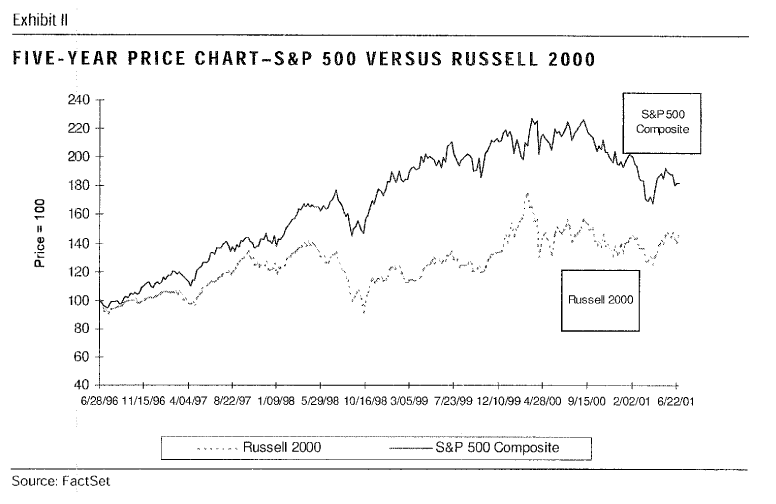 However, investors and executives should be careful not to over interpret this result because reversion to the mean is evident in any system with a great deal of randomness. We can explain much of the mean reversion series by recognizing the data are noisy. Persistence does exist. Academic research shows that some companies do generate persistently good, or bad, economic returns. The challenge is finding explanations for that persistence, if they exist. Explaining persistence. It’s not clear that we can explain much persistence beyond chance. But we investigated logical explanatory candidates, including growth, industry representation, and business models. Business model difference appears to be a promising explanatory factor. We start by ranking companies into quintiles based on their 1997 ROIC. 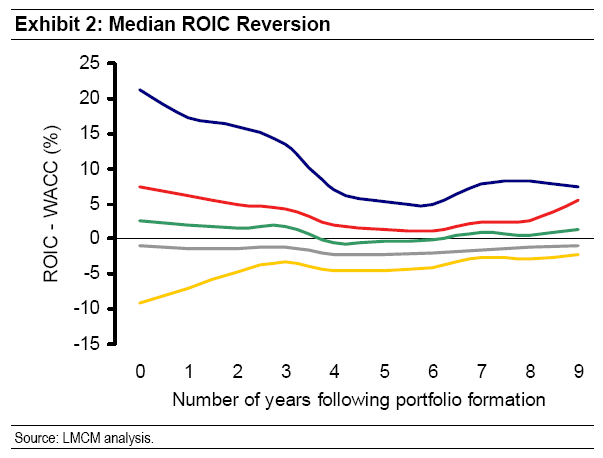 We then follow the median ROIC for the five cohorts through 2006. While all of the returns do not settle at the cost of capital (roughly eight percent) in 2006, they clearly migrate toward that level. Any system that combines skill and luck will exhibit mean reversion over time. 7 Francis Galton demonstrated this point in his 1889 book, Natural Inheritance, using the heights of adults. 8 Galton showed, for example, that children of tall parents have a tendency to be tall, but are often not as tall as their parents. Likewise, children of short parents tend to be short, but not as short as their parents. Heredity plays a role, but over time adult heights revert to the mean. The basic idea is outstanding performance combines strong skill and good luck. Abysmal performance, in contrast, reflects weak skill and bad luck. Even if skill persists in subsequent periods, luck evens out across the participants, pushing results closer to average. So it’s not that the standard deviation of the whole sample is shrinking; rather, luck’s role diminishes over time. These are striking findings. In Mauboussin’s data, there was a 64% chance that a company in the highest quintile at the start of the period was still in the first or second quintile at the end of the 10 year period. Further, it seems that there is a three-in-four chance that the high quintile stocks don’t fall into the lowest or second lowest quintiles after 10 years. It’s not all good news however. Before going too far with this result, we need to consider two issues. First, this persistence analysis solely looks at where companies start and finish, without asking what happens in between. As it turns out, there is a lot of action in the intervening years. For example, less than half of the 41 percent of the companies that start and end in the first quintile stay in the quintile the whole time. This means that less than four percent of the total-company sample remains in the highest quintile of ROIC for the full nine years. The second issue is serial correlation, the probability a company stays in the same ROIC quintile from year to year. As Exhibit 5 suggests, the highest serial correlations (over 80 percent) are in Q1 and Q5. The middle quintile, Q3, has the lowest correlation of roughly 60 percent, while Q2 and Q4 are similar at about 70 percent. This result may seem counterintuitive at first, as it suggests results for really good and really bad companies (Q1 and Q5) are more likely to persist than for average companies (Q2, Q3, and Q4). 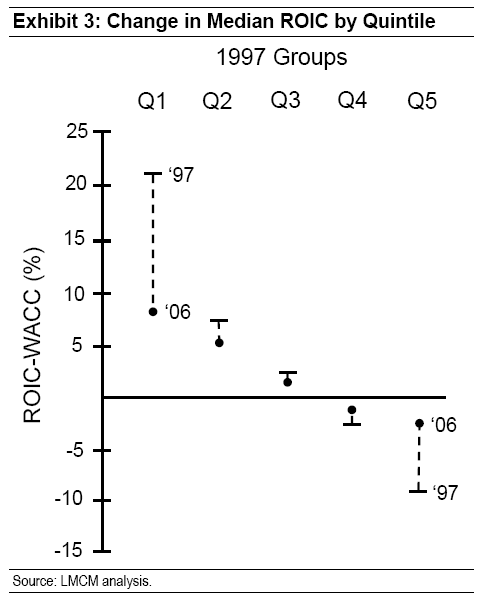 But this outcome is a product of the methodology: since each year’s sample is broken into quintiles, and the sample is roughly normally distributed, the ROIC ranges are much narrower for the middle three quintiles than for the extreme quintiles. So, for instance, a small change in ROIC level can move a Q3 company into a neighboring quintile, whereas a larger absolute change is necessary to shift a Q1 and Q5 company. Having some sense of serial correlations by quintile, however, provides useful perspective for investors building company models. So, in summary, better performed companies remain in the higher ROIC quintiles over time, although the better-performed quintiles will still suffer substantial ROIC attrition over time. AAPL: Trade of the decade? On October 25, 2001, Apple Inc. (Public, NASDAQ:AAPL) traded at a (split-adjusted) $9.15 per share. Fast-forward to yesterday’s close, and AAPL is a $247.01 stock. For those keeping score at home, that’s a lazy 2,600% in 8 1/2 years, or around 47% p.a. compound. And with a starting market capitalization of $5B, anyone could have put on the trade. Here is a breakdown of my analysis of Apple Computer — the good, the bad and the ugly. Products: Don’t tell me about the dazzling products that Apple introduces from time to time. Because I’ll agree with you — they can be impressive. From the iMacs to the PowerBook to the new iPod portable MP3 player announced this week, it is clear that Apple knows how to design cool products. Successful investors don’t invest in cool products, though — they invest in profits. In the past six years, against a backdrop of unparalleled profitability in tech, Apple was profitable in only three of those six years, despite a slew of provocative product introductions. Business Model: It’s safe to say that the business model at Apple is terminally flawed. The PC industry has been completely commoditized. And Apple loses on price because machines based on Microsoft’s(MSFT) Windows are much cheaper. Apple also is a big loser compared with Windows based on the availability and breadth of applications. To survive, Apple has to convince Windows users to migrate to the Mac platform. But since Apple is not competitive on either price or applications, there is no compelling reason for users to switch. The game is effectively over. Dell(DELL), IBM(IBM) and Hewlett Packard(HWP) have a stranglehold on the PC industry that is secure, with Dell’s build-to-order model the clear winner over the long term. Balance Sheet: Fans of Apple stock can hail the financial strength of the company, but this is hardly a reason to buy its shares. Net of all debt (including off-balance sheet liabilities), Apple commands cash or near-cash (such as receivables) of about $7.80 a share. Interest income made up 42% of the profit in the year 2000 and is expected to contribute 50% of the pretax income in 2002. But why should investors buy into a company with a deteriorating revenue base — sales are lower at Apple now than they were three, five and even 10 years ago — just so Steve Jobs can invest capital in short-term instruments that yield 3%? Large cash balances aren’t bad if they are accompanied by a value-creating business model that can use the cash for growth, but that’s not the case with Apple. It’s no wonder then that, assuming the company can meet earnings estimates, the return on shareholder equity in 2002 will be a paltry 3%. Retail Stores: It’s desperation time in Cupertino, Calif., as Apple is going into the retail store business to ensure that its products receive enough attention. This move is fraught with problems, however, because the reason that Apple products are not getting the retailers’ attention is because they are not selling well. If Apple machines were moving fast off the shelves, retailers would be happy to provide the shelf space. And the move into retail takes Apple into an area where it has demonstrated no competence. Now it’s going to take on Best Buy(BBY) and Circuit City(CC)? Have the executives at Apple considered the sobering retail experience of Gateway(GTW)? It’s too bad for Apple that the ending to this chapter in the PC story has already been written. The company had the ultimate first-mover advantage many years ago with an array of better products, a vastly superior operating system and even the best commercials! Apple’s story now is fodder for business historians — don’t make it fodder for your portfolio. Net of all debt (including off-balance sheet liabilities), Apple commands cash or near-cash (such as receivables) of about $7.80 a share. At the start of 2003, AAPL could have been purchased for under $7. Hat tip S.D. and Ben. One for you Dr.K. The money certainly has become available. In addition to dry powder held by the biggest private equity firms, banks are eager to lend again — even without demand from collateralized loan obligations to stoke the buyouts. Bubble accoutrements, including prearranged financing packages and loans with fewer restrictions, have re-emerged to make deals easier and more tempting for buyout firms. Interest rates also remain near record lows, and fixed-income investors have rediscovered an appetite for risk. Debt multiples are also swiftly on the rise. After surpassing 10 times Ebitda in the heady days of 2006, banks beat a hasty retreat. But they’re again offering more than six times Ebitda. In return, they’re requiring buyout firms to provide 40 percent of a leveraged buyout price as equity, more than during the earlier exuberance. What would the anatomy of a big LBO look like? Consider a hypothetical $10 billion deal using rough-and-ready figures. A private equity firm could borrow about $6 billion for a company with $1 billion of annual Ebitda and well under $1 billion of existing debt. To write the accompanying $4 billion equity check, buyout firms could team up — in another replay from yesteryear — or bring co-investors in. Then, of course, the buyout price would have to deliver a premium to the target company’s market value. The online educator Apollo Group, the engineering group Fluor, the navigation technology maker Garmin, the discount retailer Ross Stores and the hard-drive manufacturer Western Digital are among firms that fit the bill, at least on paper. The $10 billion buyout may not become a regular occurrence again anytime soon. But what was recently unthinkable now looks in the realm of the possible again. WDC is worthy of further investigation. Prima facie, it’s not an LBO candidate because it’s a technology stock. That said, Silver Lake Partners’ $2b buy-out of Seagate Technologies, Inc. in 2000 would suggest that it’s possible to take a hard disk drive maker private and succeed. Here’s a nice case study on the Seagate buy-out (.pdf). The caveats are well covered in this post by The Fallible Investor, which, coincidentally, skewers Garmin (see also Bronte Capital’s post for further general background). Michael B. Rapps of Geosam Capital Inc has provided a guest post on WGI Heavy Minerals Inc (TSE:WG). Michael recently joined Geosam Capital Inc., a Toronto-based private equity firm that focuses on small-capitalization activist investments and distressed debt investments. Prior to joining Geosam Capital Inc., he practiced law for 3 1/2 years at Davies Ward Phillips & Vineberg LLP where he focused on M&A and securities law. He is a graduate of McGill University with a BCL and L.LB (Bachelors of Civil and Common Laws). WGI Heavy Minerals (“WGI”) operates two businesses: (i) the mining and sale of abrasive minerals; and (ii) the sale of aftermarket replacement parts for ultrahigh pressure waterjet machine cutting systems. WGI trades at $0.40/share on the Toronto Stock Exchange under the symbol “WG”. There are 23,617,610 shares outstanding for a market cap of approximately $9.4 million. I believe the upside in WGI’s share price is at least +65% and the downside is at least +22%. WGI’s principal mineral product is garnet, which is used as an abrasive in sandblast cleaning and waterjet cutting of metals, stone, concrete, ceramics, and other materials. The majority of the company’s garnet is supplied pursuant to a distribution agreement with an Indian supplier that was formerly owned by WGI (WGI sold this company in 2008 and distributed the proceeds of the sale, together with a portion of its cash on hand, to shareholders). The distribution agreement guarantees WGI a supply of a minimum amount of garnet annually, with additional amounts to be supplied as mining capacity expands. This distribution agreement expires at the end of 2016. WGI also obtains garnet from its own mining operations in Idaho. Abrasive minerals represent 80-85% of WGI’s sales. WGI manufactures and distributes aftermarket replacement parts for ultrahigh pressure waterjet cutting machines under the “International Waterjet Parts” brand. Waterjet machines are used to cut a variety of materials using a thin, high pressure stream of fluid, often in very intricate and complex shapes. Waterjet technology continues to improve and take market share from older technologies, such as saws. According to WGI, the company competes in this market with OEMs, such as Flow International, Omax, Jet Edge, KMT and Accustream. Waterjet parts represent 15-20% of WGI’s sales. Assuming additional liquidation costs of $500,000, the liquidation value would be reduced to $0.54/share (or $0.49/share on a diluted basis). 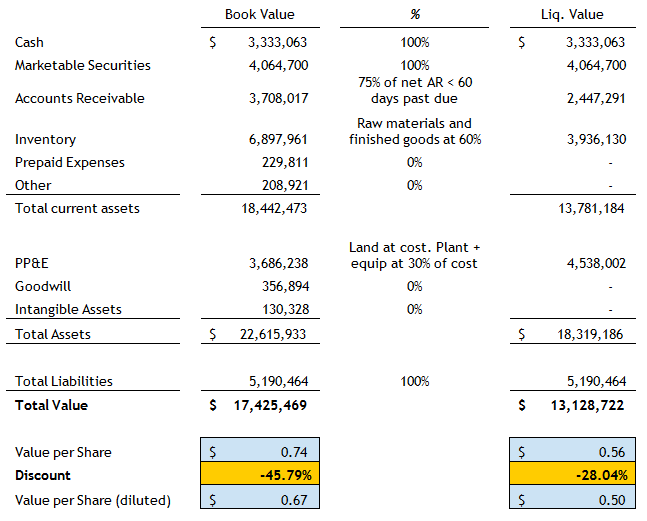 As you can see, WGI trades at a meaningful discount to both its estimated liquidation value and its book value. This implies an EV/EBITDA multiple of 1.8. Investors can argue about what an appropriate multiple is, but we would likely all agree that this multiple is too low. Applying an EV/EBITDA multiple of 5.0 (for the sake of conservatism), WGI’s equity value per share is $0.66/share (65% upside). WGI has two large shareholders. Jaguar Financial Corporation owns 3,777,100 shares representing 16% of the outstanding shares (acquired at $0.35/share). Cinnamon Investments Limited owns 3,098,500 shares, representing 13.1% of the outstanding shares (a portion of these shares was acquired as recently as January 2010 at $0.41/share). Jaguar is known in Canada as an activist investor and has launched a number of proxy contests and take-over bids to unlock value at Canadian companies. Jaguar recently successfully challenged the acquisition of Lundin Mining by Hudbay Minerals. In Q4 2009, Jaguar obtained a seat on WGI’s board and pushed for WGI to use a portion of it cash to repurchase shares, which it did in December 2009 (at a price of $0.395/share). At WGI’s upcoming annual meeting, I would expect Jaguar and Cinnamon to vote against the confirmation of WGI’s shareholder rights plan. The plan was adopted after Jaguar announced its acquisition of shares but prior to the time Jaguar received a board seat. With 29.1% of WGI’s shares voting against the rights plan, there is a decent chance the rights plan will be defeated, allowing Jaguar to launch a take-over bid for WGI in order to put them in play (a tactic they use routinely). I would also expect Jaguar to push WGI to take additional value-enhancing actions, such as additional share buybacks, and for its patience to run out if such actions are not undertaken in the near term. The principal risk I see in WGI relates to its Idaho mining operations. WGI’s disclosure indicates that the mineral resource at WGI’s operating mine in Idaho has been declining in recent years. Accordingly, WGI is undertaking exploration (and eventual development) of the lands contiguous to its current mine, which it believes contain additional garnet. A complete depletion of the existing garnet would negatively affect WGI as its Idaho mine currently contributes approximately 17% of revenues (although WGI increased the amount of garnet it receives annually from India last year, so this percentage should be lower now). Additionally, significant expenditures on exploration and development would reduce WGI’s cash on hand. Given that WGI is a profitable and growing company, I would argue that WGI should trade at least at its book value (67-85% upside on a diluted/non-diluted basis) and we should look at its liquidation value to determine our downside protection (22-35% upside). 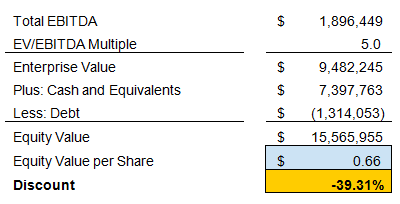 On an EV/EBITDA basis, WGI should also trade at a minimum of $0.66/share, providing upside of at least 65%. In the case of an acquisition of each of WGI’s divisions, the upside could be even greater. Oozing Alpha is a place to share event driven and special situations with the institutional investment community. We welcome and encourage you to submit your top ideas (farukh@marquisllc.com). The only limitation we impose is that your recommendations should not be widely covered by the sell side and must not have an equity market capitalization greater than $1 billion. The ideas will no doubt be up to Farukh’s usual high standards. The blog is off to a good start: the color scheme is very attractive. In March I highlighted an investment strategy I first read about in a Spring 1999 research report called Wall Street’s Endangered Species by Daniel J. Donoghue, Michael R. Murphy and Mark Buckley, then at Piper Jaffray and now at Discovery Group, a firm founded by Donoghue and Murphy (see also Performance of Darwin’s Darlings). The premise, simply stated, is to identify undervalued small capitalization stocks lacking a competitive auction for their shares where a catalyst in the form of a merger or buy-out might emerge to close the value gap. I believe the strategy is a natural extension for Greenbackd, and so I’ve been exploring it over the last month. Donoghue, Murphy and Buckley followed up their initial Wall Street’s Endangered Species research report with two updates, which I recalled were each called “Endangered Species Update” and discussed the returns from the strategy. While I initially believed that those follow-up reports were lost to the sands of time, I’ve been excavating my hard-copy files and found them, yellowed, and printed on papyrus with a dot matrix 9-pin stylus. I’ve now resurrected both, and I’ll be running them today and tomorrow. In the first follow-up, Endangered species update: The extinct, the survivors, and the new watch list (.pdf), from Summer 2000, Murphy and Buckley (Donoghue is not listed on the 2000 paper as an author) tested their original thesis and provided the “Darwin’s Darlings Class of 2000,” which was a list of what they viewed as “the most undervalued, yet profitable and growing small cap public companies” in 2000. About half of the Darwin’s Darlings pursued some significant strategic alternative during the year. A significant percentage (19 of the companies) pursued a sale or going-private transaction to provide immediate value to their shareholders. Others are attempting to “grow out of” their predicament by pursuing acquisitions, and many are repurchasing shares. However, about half of the Darlings have yet to take any significant action. Presumably, these companies are ignoring their current share price and assuming that patient shareholders will eventually be rewarded through a reversal in institutional investing trends or, more likely, a liquidity event at some later date. The path chosen clearly had a significant impact on shareholder value. The 19 companies that pursued a sale easily outperformed the Russell 2000 and achieved an average premium of 51.4% to their 4-week prior share price. The vast majority of transactions were sales to strategic buyers who were able to pay a handsome premium to the selling shareholders. 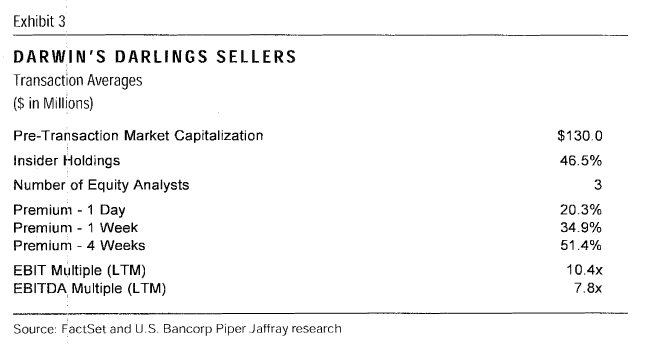 In general, the acquirers were large cap public companies. By simply valuing the profits of a Darwin’s Darling at their own market multiple, these buyers delivered a valuation to selling shareholders that far exceeded any share price the company might have independently achieved. Note in the summary statistics below that the average deal was at an EBIT multiple greater than 10x. Only three of the Darwin’s Darlings announced a going-private transaction. At first glance, this is a surprisingly small number given the group’s low trading multiples and ample debt capacity. With private equity firms expressing a very high level of interest in these transactions, one might have expected more activity. • A Board will typically assume that if a “financial” buyer is willing to pay a certain price, a “strategic” buyer must exist that can pay more. • Corporate governance rules are usually interpreted to mean that a Board must pursue the highest price possible if a transaction is being evaluated. • Financial buyers and management worry that an unwanted, strategic “interloper” can steal a transaction away from them when the Board fulfills its fiduciary duty. In light of the final two considerations, which benefit only management, it’s not difficult to understand why activists considered this sector of the market ripe for picking, but I digress. To many of the Darwin’s Darlings, their undervaluation was perceived as a buying opportunity. Twenty companies announced a share repurchase, either through the open market, or through more formalized programs such as Dutch Auction tender offers (see our M&A Insights: “What About a Dutch Auction?” April 2000). As we expected, these repurchases had little to no impact on the companies’ share prices. The signaling impact of their announcement was minimal, since few analysts or investors were listening, and the buying support to the share price was typically insignificant. Furthermore, the decrease in shares outstanding served only to exacerbate trading liquidity challenges. From announcement date to present, these 20 companies as a group have underperformed the Russell 2000 by 17.5%. 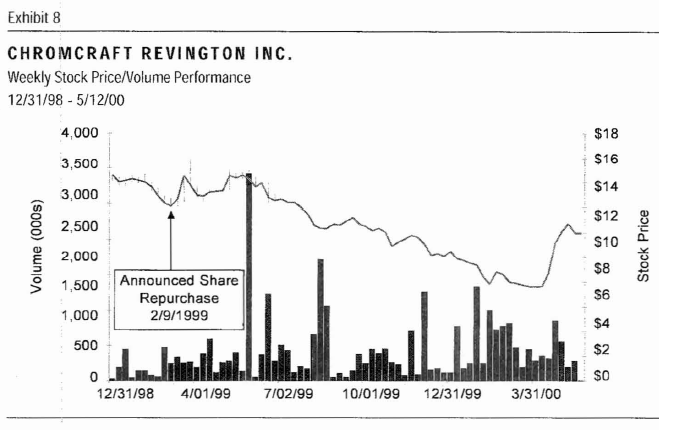 For many of the Darlings and other small cap companies the share repurchase may still have been an astute move. While share prices may not have increased, the ownership of the company was consolidated as a result of buying-in shares. ‘The remaining shareholders were, in effect, “accreted up” in their percentage ownership. When a future event occurs to unlock value, these shareholders should reap the benefit of the repurchase program. Furthermore, the Company may have accommodated sellers desiring to exit their investment, thereby eliminating potentially troublesome, dissenting shareholders. I’m not entirely sure that the broader conclusion is a fair one. Companies shouldn’t repurchase shares to goose share prices, but to enhance underlying intrinsic value in the hands of the remaining shareholders. That said, in CRC’s case, the fact that it went on to raise capital at a share price of ~$0.50 in 2009 probably means that their conclusion in CRC’s case was the correct one. About half of the Darwin’s Darlings stayed the course and did not announce any significant event over the past year. Another 18 sought and consummated an acquisition of some significant size. While surely these acquisitions had several strategic reasons, they were presumably pursued in part to help these companies grow out of their small cap valuation problems. Larger firms will, in theory, gain more recognition, additional liquidity, and higher valuations. However, for both the acquirers and the firms without any deal activity, the result was largely the same: little benefit for shareholders was provided. Management teams and directors of many small cap companies have viewed the last few years as an aberration in the markets. “Interest in small caps will return” is a common refrain. We disagree, and our statistics prove us right thus far. Without a major change, we believe the shares of these companies will continue to meander. For the 53 Darwin’s Darlings that did not pursue any major activity in the last year, 80% are still below their 1998 high and 60% have underperformed the Russell 2000 over the last year. These are results, keep in mind, for some of the most attractive small cap firms. The public markets continue to ignore companies with a market capitalization below $250 million. Most institutional investors have large amounts of capital to invest and manage, and small caps have become problematic due to their lack of analyst coverage and minimal public float. As a result, these “orphans” of the public markets are valued at a significant discount to the remainder of the market. We do not see this trend reversing, and therefore recommend an active approach to the directors and management teams at most small cap companies. Without serious consideration of a sale to a strategic or financial buyer, we believe these companies, despite their sound operating performance, will not be able to deliver value to their shareholders. Tomorrow, the 2001 Endangered species update.